Move the magnifier faster by holding Shift; if a grid is enabled, the magnifier will jump from block to block. 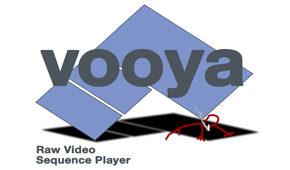 You can drop a file onto vooya while holding Shift to get a difference view; also, you can drag a file from another vooya instance onto the current one to get the diff. Recent difference views can be found in the menu.